BDM specializes in commercial truck insurance, large fleet vehicle collision body painting and auto body repair. Box trucks, semi, or dump trucks are repaired as quickly as possible eliminating as much down time as possible. 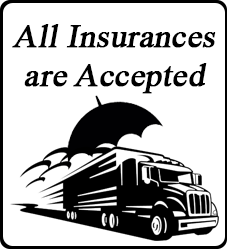 We work well with all insurance companies to get the truck repaired properly and quickly.